While replacing the valve cover gaskets, this brittle plastic clip snapped, leaving me with a car that now leaks significantly less oil than before, but now has no functioning cruise control (a problem, as I use that all the time). 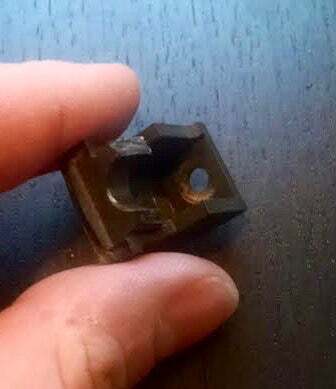 So, I need to buy a replacement, but I have no idea exactly what it’s called (cable retaining clip? throttle clip? ), or if I can just buy this without having to get a whole assembly. It came off the throttle cable, 1984 Town Car, 302 Windsor. 1937 Lincoln-Zephyr for your time.